September 17, 2014 – Returning human spaceflight launches to American soil moved one step closer to reality yesterday as NASA announced that it had chosen Boeing and SpaceX to receive contracts in the latest round of the Commercial Crew Transportation (CCtCap) program. Sierra Nevada Corporation’s Dream Chaser was also in the running, but did not receive funding. NASA unveiled its selection of Boeing and SpaceX to transport U.S. crews to and from the International Space Station using their CST-100 and Crew Dragon spacecraft, respectively, with a goal of ending the nation’s sole reliance on Russia in 2017. The CCtCap contracts are designed to complete the NASA certification for human space transportation systems capable of carrying people into orbit. Once certification is complete, NASA plans to use these systems to ferry astronauts to the ISS and return them safely to Earth. The contracts include at least one crewed flight test per company with at least one NASA astronaut aboard to verify the fully integrated rocket and spacecraft system can launch, maneuver in orbit, and dock to the space station, as well as validate all its systems perform as expected. Once each company’s test program has been completed successfully and its system achieves NASA certification, each contractor will conduct at least two, and as many as six, crewed missions to the space station. These spacecraft will also serve as a lifeboat for astronauts aboard the station. NASA’s Commercial Crew Program will implement this capability as a public-private partnership with the American aerospace companies. NASA’s expert team of engineers and spaceflight specialists is facilitating and certifying the development work of industry partners to ensure new spacecraft are safe and reliable. The companies will own and operate the crew transportation systems and be able to sell human space transportation services to other customers in addition to NASA, thereby reducing the costs for all customers. By encouraging private companies to handle launches to low-Earth orbit, a region NASA has been visiting since 1962, the nation’s space agency can focus on getting the most research and experience out of America’s investment in the ISS. NASA can also focus on more ambitious missions, such as Orion and SLS, which will carry humans into deep space, and eventually to Mars. 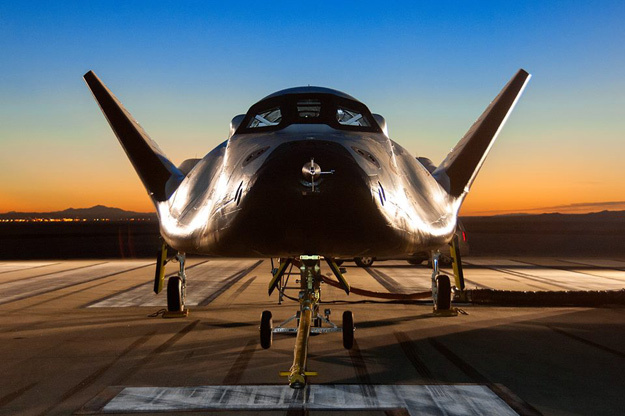 Sierra Nevada Corporation (SNC) has not yet commented on the announcement and it’s unclear how the company will proceed with the Dream Chaser spacecraft, or what effect this will have on the company. The spacecraft, which resembles a small shuttle, has attracted worldwide interest and could be used to ferry astronauts from the European and Japanese space agencies. It could also be used to carry cargo instead of crew.